The Venetian ghetto – a segregated enclave for Jews and the one from which the very name “ghetto” emerged – was created 500 years ago. 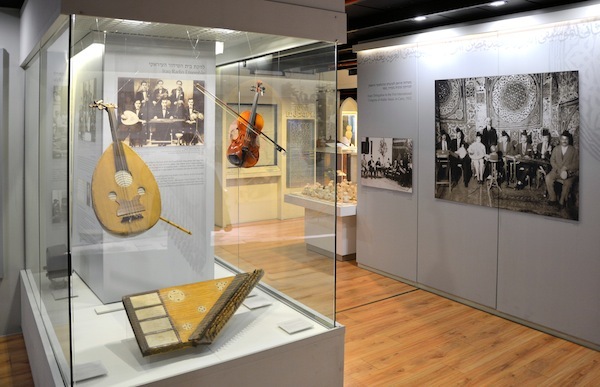 An exhibit at Vancouver’s Italian Cultural Centre tells the history of the ghetto and is one of a number of local cultural events this year marking the half-millennium since the notorious decree. The Venetian Ghetto: A Virtual Reconstruction: 1516-2017 opened at the centre’s Il Museo this summer. It is an abridged version of a larger exhibit showing concurrently at the Doge’s Palace in Venice, said the museum’s curator, Angela Clarke. Clarke and Il Museo had wanted to do something around the topic of the ghetto in part because of a connection with a member of Vancouver’s Jewish community. When the late renowned University of British Columbia architecture professor Dr. Abraham Rogatnick passed away in 2009, he left his collection of Venetian books and other materials to the museum. “We have, for a long time, wanted to do something in honour of Abraham Rogatnick,” said Clarke. When she discovered that the Doge’s Palace was planning an exhibit to mark the 500th anniversary, she contacted the institution. They agreed to reproduce a version of the exhibit tailored to Il Museo’s space. It was the palace’s 16th-century resident, Lorenzo Loredan, the doge of the Republic of Venice from 1501 until his death in 1521, who determined that Jews should be segregated from the general Venetian population. Although the origin of the term “ghetto” is disputed, many accept the view that it comes from the Venetian dialect’s word ghèto, foundry, which was the neighbourhood in which Jews were confined. Jews were allowed access to the city during the day, but were restricted to the ghetto at night. Space limitations in the ghetto led to upward expansion, including multi-storey homes and buildings, a unique architectural approach to that date. The exhibit has four parts, including an interactive exploration of the ghetto’s synagogues through a virtual reconstruction. The architecture of the ghetto, the cemeteries and “the ghetto after the ghetto” – the fate of the area after Napoleon conquered Venice and emancipated the city’s Jews in 1797 – round out the exhibit. The ghetto was remarkably multicultural, Clarke emphasized. Jews began gravitating to Venice as early as the 900s, with a surge in the 1300s and then again after the expulsion from Iberia. The segregation of Jews was premised on economic concerns, said Clarke, with restrictions on professional activities that pushed the Jewish residents into dubious roles like moneylender. As in so many instances across European history, Jews were forced to wear differentiating articles of clothing; in Venice’s case, a red hat. The exhibit demonstrates the constancy of the compulsory topper while also depicting changing styles across centuries. Napoleon liberated the Jews, but he had somewhat bigoted notions of the city of Venice. “He called it the drawing room of Europe, depicting Venice as this beautiful little elegant community,” Clarke said. “However, I’ve been reading Florence Nightingale and she [observes that] referring to something as a drawing room is a pejorative term. For a man to be in a drawing room is basically to say that he’s effeminate. “When you look at it in that historical context – especially when you’re dealing with a megalomaniac who’s got basically size issues – it’s a veiled term,” she said, laughing. 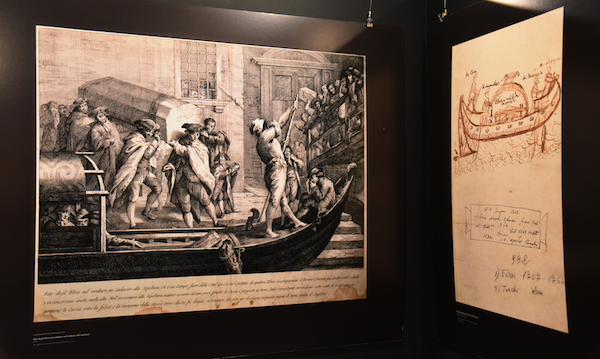 The exhibit at Il Museo coincided with the Stones of Venice exhibit at the Jewish Community Centre of Greater Vancouver (profiled in the Independent Aug. 18) and performances of Merchant of Venice and Shylock as part of this year’s Bard on the Beach (reviewed July 21). The Venetian Ghetto: A Virtual Reconstruction: 1516-2017 continues until Oct. 30 at Il Museo in the Italian Cultural Centre of Vancouver, 3075 Slocan St. More information at italianculturalcentre.ca. Visitors to the Royal Ontario Museum (ROM) will see an obscene display among the collections of dinosaur fossils, Egyptian mummies and suits of armour – a scale model of a gas chamber of the kind used at Auschwitz, where more than one million Jews were murdered between 1942 and 1945. The Evidence Room exhibit, as it is named, consists of white plaster replicas of elements of the Nazi death camp murder machine, including the steel mesh columns through which pellets of Zyklon B insecticide were lowered to asphyxiate the prisoners locked inside the gas chambers. Similarly, it depicts the heavy door, which was bolted from the outside. The exhibit features a reproduction of the original architectural drawings prepared by German architect, engineer and SS-Sturmbannführer Karl Bischoff, who served at Auschwitz as chief of the Central Construction Office of the Waffen-SS. Visitors to ROM will note the meticulously planned airtight seal around the gas chamber’s door to prevent toxic leaks, and the grill-covered peephole that allowed dignitaries to watch the prisoners die. “To understand this room … we first have to acknowledge that it’s related to the most murderous place,” said the exhibit’s creator, Robert Jan van Pelt, at a ROM Speaks lecture on June 27. Van Pelt’s grisly display is the first in a ROM series intended to engender discussion of contemporary issues. And the issue here is forensic architecture, a relatively new field that uses planning and design tools to understand human rights abuses, in this case genocide. For van Pelt, a Dutch-born architect who teaches at the University of Waterloo, The Evidence Room represents the culmination of two decades of work. Van Pelt testified that indeed there were apertures in the gas chambers’ ceilings through which poison pellets were dropped. His testimony led to his 2002 book The Case for Auschwitz: Evidence from the Irving Trial. The 592-page volume greatly impressed Alejandro Aravena, curator of the 2016 Venice Architecture Biennale. The Chilean, who was awarded architecture’s Pritzker Prize for his work transforming slums and making architecture a tool of justice and social change, commissioned van Pelt to create an exhibit explaining the workings of an Auschwitz gas chamber. A model was on display at last year’s Venice Biennale. In preparing for the current exhibit at ROM, van Pelt – together with colleagues Donald McKay, Anne Bordeleau and Sascha Hastings – wrote a supplementary book, The Evidence Room, published by the New Jewish Press in association with the University of Toronto’s Anne Tanenbaum Centre for Jewish Studies. “It is difficult to imagine the details of a gas chamber, where humans were locked in to die,” says one Holocaust survivor quoted in van Pelt’s new book. “One has to feel the double grates that protected the bucket filled with poison pellets from the desperate hands of the condemned, peer into the bucket, imagine the pellets melting away, the poison oozing out of them. And what of the pristine white plaster van Pelt and his architecture students used to build the reproduction? For me, it jarringly evoked a sense of peace and innocence. But, as well, it called to mind that those murdered in the gas chambers defecated and urinated as they died and that Sonderkommandos (a special unit of slave labourers who removed gassed corpses and hauled them to the crematoria) had to whitewash the gas chambers after each usage. The Evidence Room is on display at the Royal Ontario Museum until Jan. 28, 2018. At the event called Jerusalem of Gold: Capital of Innovation & Tech, the speakers will be Lior Schillat, director general of Jerusalem Institute for Policy Research; Maya Halevy, executive director of Bloomfield Science Museum Jerusalem; Yonatan Avraham, student ambassador of HUstart, the university’s entrepreneurship centre; and Tamir Huberman, vice-president of business development and information-technology director of Yissum, the technology transfer company of Hebrew U. The Jewish Independent interviewed each of the presenters in anticipation of their Vancouver visit, and will feature Schillat and Halevy this week, and Avraham and Huberman on July 7. Schillat will talk about Jerusalem’s Population: What Does the Future Hold? But first, what about the Jerusalem of the past – what would have inspired a Canadian Jew to make aliyah 50 years ago? Actually, said Schillat, in the 20th century, the biggest wave of immigrants from countries such as Canada came right after the Six Day War. “If you’re Canadian and you’re making aliyah in ’67 and you’re choosing Jerusalem for your home, I guess the main reason you would do that would be because of the spiritual effect the glorious victory of 1967 would have on you,” said Schillat. It’s not the tech hub that Tel Aviv is, he acknowledged, but, in proportion to its population, Jerusalem rates high on the tech scene. And this shouldn’t be surprising, he said. Schillat gave as the best example of Jerusalem’s growing prominence in this area the recent acquisition by Intel of Jerusalem-based company Mobileye for $15.3 billion. Not only that, he said, but Intel also has decided to base in Jerusalem its international research and development centre for autonomous cars. One facility that is trying to integrate various population groups is Bloomfield Science Museum. Founded and operated by the Jerusalem Foundation and HU, the museum is supported by the national and municipal governments. Its website describes science “as a common language that disregards physical borders, cultural and religious differences and enables dialogue among participants with a common interest and diverse backgrounds.” Halevy will talk on the topic Raising a Start-up Nation. The museum collaborates with institutions around the world, as well. A current exhibit that will travel to Ottawa, among other places, is the Bicycle Exhibition 2 x 200. The new Canada Science and Technology Museum is set to open in November after extensive renovations and the exhibit is scheduled to arrive there after a few other stops. Visiting the museum while it was under renovation, Halevy saw the collection of bicycles it had in storage and learned that 2017 would mark 200 years since this invention. “So we decided to focus our cooperation on a bicycle exhibition,” she said, “to use their collection and to add interactive exhibits – we are very experienced in this field – and the idea was that we will develop and build the whole exhibition in Jerusalem and later on it will travel to Ottawa. 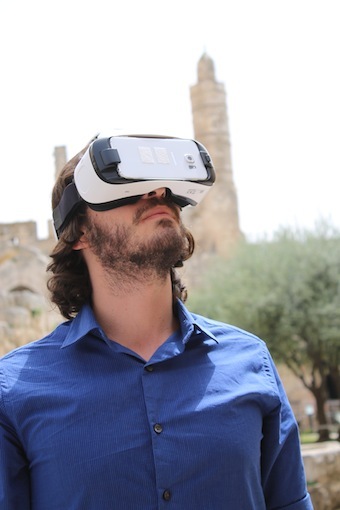 Jerusalem of Gold: Capital of Innovation & Tech is open to the public. Tickets are $45, though Wachtel said, “Students who are interested in coming to the event are welcome to register at our office and receive a free ticket.” For tickets, the speakers’ bios and other information, visit cfhu.org, email [email protected] or call 604-257-5133. Kat Romanow has taken upon herself the challenge of teaching people more about Jewish food in one of Canada’s most Jewish cities. “I started studying Judaism in my undergrad and, at the end of it, food was something that sparked my interest,” said Romanow. “I ended up going to Boston for a summer to do an internship and it was there that all of this coalesced. Romanow was born and raised in Montreal and is currently the director of food programming at the Museum of Jewish Montreal, where she runs and manages Fletchers, the museum’s restaurant. Founded in 2010, the museum offers walking tours of historic Jewish neighbourhoods, numerous online exhibits and a large oral history collection. And, now that they have a physical space – which they acquired about a year ago – they also offer lectures, workshops and pop-up exhibitions. Romanow majored in Jewish food history at Concordia University and, in conjunction with the museum and a friend, developed a walking tour called The Wandering Chew. At Fletchers, they serve foods during the day that draw from the flavours of the diverse communities highlighted on the walking tours. And, in the evening, one can find a variety of workshops, meals and cookbook launches. Romanow has been selected to represent Montreal at the ROI (Return on Investment) Summit in Jerusalem July 2-6. The summit brings together 150 of the brightest Jewish minds from around the world to brainstorm ideas for the future. Romanow is planning to stay in Israel after the summit, to visit the country, experience the Israeli food scene and get some new ideas for Fletchers. Something she has found lately is that people in their 20s and 30s are becoming more open to exploring different ways of making the food they grew up with different, putting their own mark on it. “There’s now a community of younger Jews who are reintroducing people to what Jewish food is,” said Romanow. “I want to keep adding to the menu and keep holding more and more events, so that people can really engage with their Jewish identity through food on a regular basis. For now, Romanow plans to delve deeper into local Jewish food history, as she balances running Fletchers, the Wandering Chew dinners and walking tours of the local Jewish food scene, which are called Beyond the Bagel. Through Beyond the Bagel, Romanow said, “We go to places like Schwartz’s and we eat bagels. But, I did all kinds of archival research and oral history interviews … and so you get to go deeper into the history of these places. “At our space (at the museum), we also have a boutique where we sell things related to Jewish history and Montreal – books, locally made products. And we use it as an event space … concerts, lectures and many more. For more information, visit imjm.ca. On Nov. 23, the Jewish Museum and Archives of British Columbia had both its annual general meeting and launched its newest online exhibit, Oakridge. JMABC board president Perry Seidelman called the AGM to order and noted a major absence. He thanked JMABC administrator Marcy Babins, JMABC coordinator of programs and development Michael Schwartz, Shirley Barnett for her leadership in the restoration of the Jewish section of Mountain View Cemetery, Cynthia Ramsay for editing the JMABC’s annual journal, The Scribe, and donors and funders, including the Jewish Federation of Greater Vancouver. He bid farewell to three members of the board – Barnett, Chris Friedrichs and Barbara Pelman – and welcomed four new members: David Bogoch, Alan Farber, Alex Farber and Carol Herbert. After the AGM was the Oakridge launch. “With this exhibit,” said Schwartz, “we set out to document an important period in our community history; a moment when a population boom coincided with financial stability and postwar optimism to cause our community to grow both in size and stability in a way rarely seen before or since. This era set a new foundation for our community that we have built upon and relied upon ever since. Compiled over two years, the Oakridge research team was Erika Balcombe, Junie Chow, Elana Freedman and Josh Friedman, with Schwartz. A large portion of the exhibit comprises oral history interview excerpts from community members Harry Caine, Vivian Claman, Irene and Mort Dodek, Gail Dodek Wenner, Wendy Fouks, Debby Freiman, Sarah Jarvis, Ed Lewin, Sandy Rogen, Ken Sanders, and Seidelman. Schwartz also gave thanks to JMABC colleagues Babins and Routtenberg, as well as Yuhasz, “each of whom devoted much time and energy to this project,” and the board of directors. He noted, “If the Great Depression hadn’t hit, it seems likely that Oak and 12th Avenue would have been the heart of the Vancouver Jewish community. Instead, campaigns to build Beth Israel, Talmud Torah and a new Schara Tzedeck were put on hold until after the war. All three projects were completed in 1948. 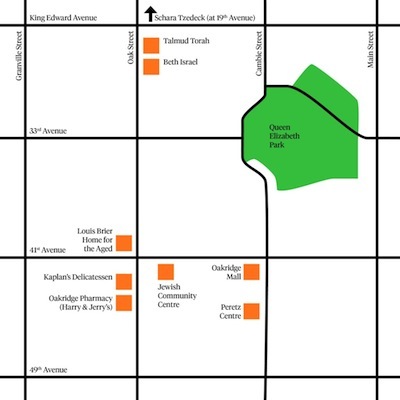 By that time, the city had continued to expand southward, so these three facilities were built closer to King Edward Avenue. “This southward shift was further encouraged by another important event,” he continued. “In 1950, the CPR, the Canadian Pacific Railway, released a parcel of land stretching from 41st Avenue and Granville Street to 57th Avenue and Main Street. The city identified the middle third of this land for residential development and worked with Woodward’s and other developers to construct Oakridge Mall as an anchor for the new neighborhood. “In general, the Baby Boomers we spoke to had happy memories of their childhoods,” said Schwartz, giving the example of Claman. That’s not to say everything was perfect. Schwartz noted Mort Dodek’s comments in the exhibit. Schwartz also pointed out that there were divisions within the Jewish community, citing Seidelman and Mort Dodek’s comments from the exhibit. “The rabbi of Schara Tzedeck would not go to Beth Israel, would not be seen to enter, whereas today they have the Rabbinical Association, all the rabbis get on really well together and they seem to respect each other’s different levels of observance, whereas in those days they didn’t,” says Seidelman. For anyone wanting to know more about the role of women in the community, Schwartz recommended the museum’s 2013 exhibit More Than Just Mrs., which can be found online. “Oakridge, like each of our exhibits, serves three functions,” said Schwartz, listing those functions: a chance to grow the museum’s archives, to increase awareness of the JMABC and of Jewish life in the province, and to reflect on how the community has changed over time. For the Oakridge exhibit, he noted, the majority of the oral history interviews “were undertaken by volunteer and student interns, giving them valuable experience in the art and science of oral history interviews. Thanks to projects like this, including other exhibits and our annual journal, The Scribe, our oral history collection has grown substantially in recent years, bringing our current total to 762 interviews. See the exhibit at jewishmuseum.ca/oakridge. Most of us have read or heard the story of David and Goliath, and some of us have even visited where the battle took place. But now we all have the chance to learn more. 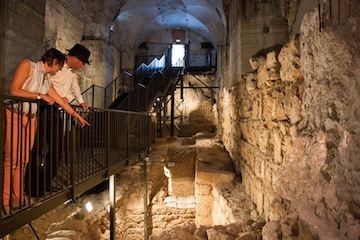 On Sept. 5, In the Valley of David and Goliath opened at Bible Lands Museum in Jerusalem. Presented to the public for the first time, the exhibit will be on display until September 2017. Khirbet Qeiyafa (Fortress of Elah), 20 miles southwest of Jerusalem, on top of a hill overlooking the Valley Elah, was excavated by Prof. Yosef Garfinkel from 2007 to 2012. 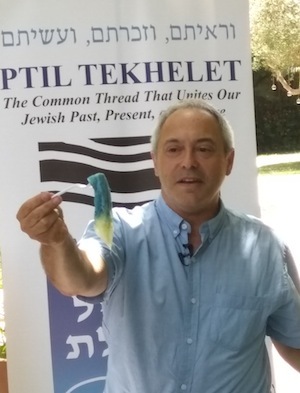 Garfinkel is the Yigael Yadin Chair in Archeology of Israel at Hebrew University and director of excavations at Khirbet Qeiyafa. Based on carbon-14 dating performed on 28 olive pits, archeologists believe the city lasted from 1020 to 980 BCE. Items found at the site strengthen the connection to King David and religious practices described in the Bible. As well, according to Garfinkel, this Iron Age town was described in the Bible as the location of the battle between David and Goliath 3,000 years ago. In an interview with Erin Zimmerman for CBS News in 2013, Garfinkel maintained that Khirbet Qeiyafa was a Jewish city for four reasons. Second, the bones found in the city all come from kosher animals. And, according to Garfinkel, a found pottery shard, also known as an ostracon, is the earliest example of Hebrew writing ever unearthed. On it are written commandments to worship the Lord and to help widows, orphans and slaves. “It started with the word ‘al ta’as,’ which means ‘don’t do,’ and ‘ta’as,’ ‘to do,’ is only in Hebrew. It’s not Canaanite and not Philistine,” he explained. Finally, Garfinkel said the absence of idols – which would have been in abundance in other places – points to a Jewish city. “If you go to Canaanite temples of the Late Bronze [Age], you will find a lot of human and animal figures, but not in Khirbet Qeiyafa. So, the people here really obeyed the biblical taboo on graven images,” he said. 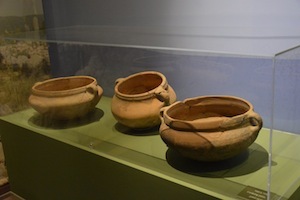 Among the other objects on display are storage jars, water basins, a model of a house, hundreds of pottery vessels, jar handles with finger impressions, cooking pots and jugs, and the bowl that contained the olive pits. Most amazing is a stone model shrine, which reflects a Mesopotamian architectural-style before the era of King David, but which probably inspired the look of the palace built by Solomon, David’s son. Features of the model are mentioned in biblical references to King Solomon’s Temple, built decades later. For Hebrew-speakers traveling to Israel in the near future, exhibit curators will be giving behind-the-scenes tours in Hebrew on Oct. 7, Nov. 11 and Dec. 16. Sybil Kaplan is a journalist, foreign correspondent, lecturer, food writer and book reviewer who lives in Jerusalem. She also does the restaurant features for janglo.net and leads walks in English in Jerusalem’s market. How do museums and other purveyors of history attract visitors and make the past relevant, especially as people come to expect more and more digital experiences? Keren Berler, chief executive officer of Israeli start-up Museloop recently put the problem into current perspective. Younger visitors, she noted in an Israeli radio interview this past June, find museum visits passive and boring. She said, especially when seeing museum art exhibits, young people need something more to draw them into what they are seeing. So, her company has designed a museum-based application for iPhone and Android use. The application includes games, such as find-the-difference puzzles, plus information about the artist, all of which will hopefully make the visitor better remember the art and some facts about it. Interestingly, in describing the games, two of the attributes she mentioned were competitiveness and the ability to take “selfies.” Children as young as 8 or 9 years old can use the app on their own, but younger children would need an adult to assist them. Right now, the Museloop app focuses on Israel Museum’s under-appreciated (read: under-visited) permanent art collection. This exhibit includes the works of a number of “heavies,” such as Marc Chagall, Claude Monet, Pierre-Auguste Renoir, Paul Cézanne and Paul Gauguin. The goal is to make the experience so appealing that young visitors will then want to visit other museums. Since Israel Museum is paying the start-up for the development and use of the app, visitors benefit by having free use of it. In contrast, Tower of David Museum has its own in-house digital department. This department has developed its own applications for heightened exhibit viewing. According to Eynat Sharon, the head of digital media, her department takes into consideration the visitor’s total museum experience. This experience consists of three overlapping circles: the pre-visit, in which a person visits either the museum’s website or mobile site; the actual physical visit; and the post-visit, in which the person digitally shares with friends and family on Facebook, Instagram and other social media what they encountered at the museum. The museum’s technical equipment and apps may be rented by museum visitors for a small fee. And recent comments on TripAdvisor show that museums don’t necessarily have to be high-tech to succeed in their mission. Visitors, for example, gave the St. Louis Holocaust Centre high marks. Other Holocaust learning centres, however, have started taking current technology through uncharted waters. The USC Shoah Foundation now uses holographic oral history. According to Dr. Stephen Smith, the foundation’s executive director: “In the Dimensions in Testimony project, the content must be natural language video conversations rendered in true holographic display, without the 3-D glasses. What makes this so different is the nonlinear nature of the content. We have grown used to hearing life histories as a flow of consciousness in which the interviewee is in control of the narrative and the interviewer guides the interviewee through the stages of his or her story. [Now] with the … methodology, the interviewee is subject to a series of questions gleaned from students, teachers and public who have universal questions that could apply to any witness, or specific questions about the witness’ personal history. They are asked in sets around subject matter, each a slightly different spin on a related topic.” One educator confided that, while the technology is “creepy,” the public apparently likes it. So, how do museums cope with the possibility that the medium in and of itself becomes the message? In other words, how do museums keep their audiences from being distracted by the technology? At the same time, how can museums survive financially if they follow goals that differ substantially from those of visitors, funders and other supporters? A few months ago, Canadian entrepreneur Evan Carmichael offered guidelines at an Online Computer Library Centre conference. His suggestions seem applicable to museum administrators as well: express yourself, answer their questions, offer guidance, involve the crowd, “use your audience to create something amazing … create an emotional connection, get personal, and hold trending conversations, go to where things are happening, be there.